ARTHUR B. RITTER is Distinguished Service Professor and Director of Biomedical Engineering, Stevens Institute of Technology, Hoboken, New Jersey. Dr. Ritter received the B.C.H.E. degree at the City University of New York, New York, and the M.S. and Ph.D. degrees at the University of Rochester, New York. STANLEY REISMAN is Professor of Biomedical Engineering, New Jersey Institute of Technology, Newark. He received the B.S. degree in electrical engineering from the Polytechnic Institute of Brooklyn, New York, the M.S. degree in electrical engineering from the Massachusetts Institute of Technology, Cambridge, and the Ph.D. degree in bioengineering from the Polytechnic Institute of New York, Brooklyn. BOZENA B. MICHNIAK is Professor, Department of Pharmacology and Physiology, Rutgers University, Newark, New Jersey, and Director of the Drug Delivery Laboratory and the Industrial Membership Program, New Jersey Center for Biomaterials, Piscataway. Dr. Michniak received the Ph.D. degree (1980) in pharmacology from Leicester Polytechnic, England. "[Provides] not only an in-breadth overview on current BME fields, but also an in-depth analysis of specific selected topics that are supported by appropriate mathematical models, equations, quantitative data charts and tables." 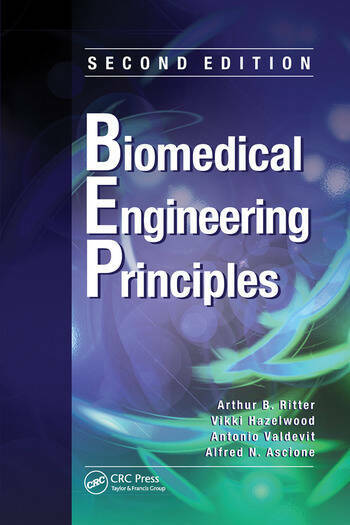 "For practicing engineers without biomedical engineering background, the book provides an excellent resource to explain the many intricacies of biomedical engineering and provides sufficient background material to make the subject understandable." "This book is written at a reasonably high scientific level; it employs mathematics, basic physics, chemistry, and thermodynamics of the main medical processes. It is well illustrated with figures, schemes, various plots, and mathematical equations. This book will definitely be useful for biochemists, biophysicists, and specialists in cell biology and medicine."